We’ve been waiting for this for 12 years and that time has finally come. Star Trek has returned to television … sort of. 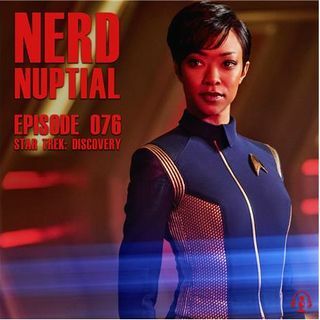 Star Trek: Discovery is here and we couldn’t be more excited here at Nerd Nuptial. Tristan is a lifelong Star Trek fan and The Girl is just hoping for a good show. The first part of the episode was recorded just minutes before the premiere where we talk about our hopes and our own personal excitement for the show. We break, watch the show, and ... See More come back to finish our thoughts. Did we like it? Did it live up to the hype or did it let us down? Listen and find out. What did you think of Star Trek: Discovery?